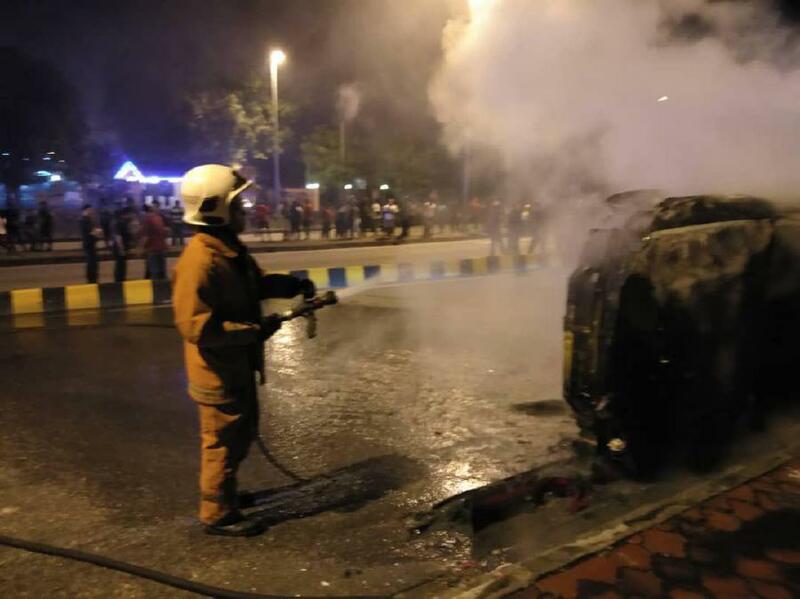 SHAH ALAM (Feb 8): The High Court here has dismissed the Seafied USJ 25 Sri Maha Mariamman temple task force’s bid to be an interested party in the inquest into firefighter Muhammad Adib Mohd Kassim’s death, reported The Malaysian Insight today. “If the task force wants to hold a watching brief, then there must be a reason. “They are just a task force of the temple and do not have a real substantial interest in the matter,” Judge Abdul Karim Abdul Rahman was reported as saying. He therefore ruled that the judgment by the coroners’ court remains. Last month, the coroner’s court barred the task force from being an interested party. The task force then filed an application for a judicial review on Monday (Feb 11) to be made a party in the inquest into Adib’s death set to begin on the same day. The task force lawyer M. Visvanathan said leaving out the task force in the probe would render the inquest “meaningless”. “We cannot understand how the Attorney-General’s Chambers in this new era of transparency [could] say that the role of the task force is too remote so they don’t need to participate in the inquest,” he told the news portal. “All the temple asked for is a watching brief and a chance to ask questions if the need arises. “Unless, if they can confirm that the task force has nothing to do with Adib’s death. Then we will be satisfied, but they are not going to do that as well,” he added. Muhammad Adib, 24, of the Subang Jaya Fire & Rescue Station, had arrived in the vicinity of the Seafield Sri Maha Mariamman Temple (pictured), USJ 25, Subang early on Nov 27 last year to put out a car fire during riots that erupted purportedly over the relocation of the house of worship, where he was severely injured.